This is one level living at its best, with a Crawl space under for storage. 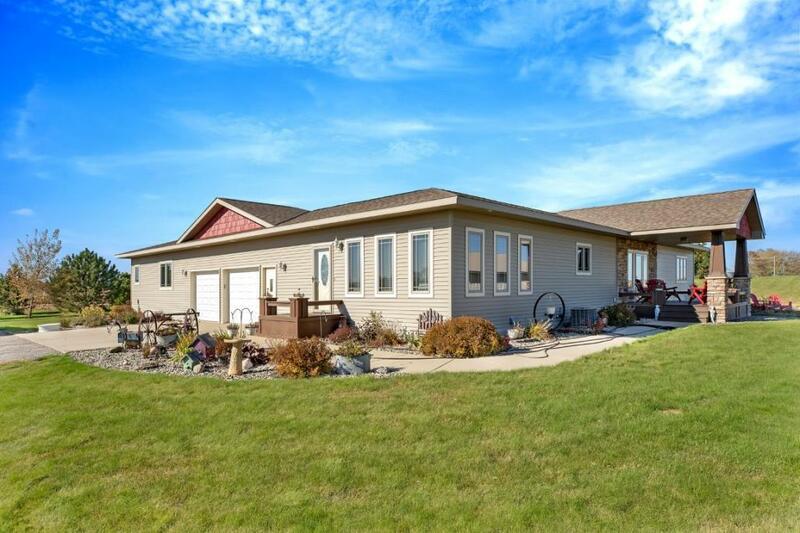 Located on 5 acres, this custom built home will not disappoint. Large kitchen with Granite countertops. 9' ceilings, all the bedrooms have walk-in closets and 3 bedrooms have attached bathrooms. This custom built home will not disappoint. Half of the 48x72 shed is heated and has a small living quarters. So much to offer for the price.